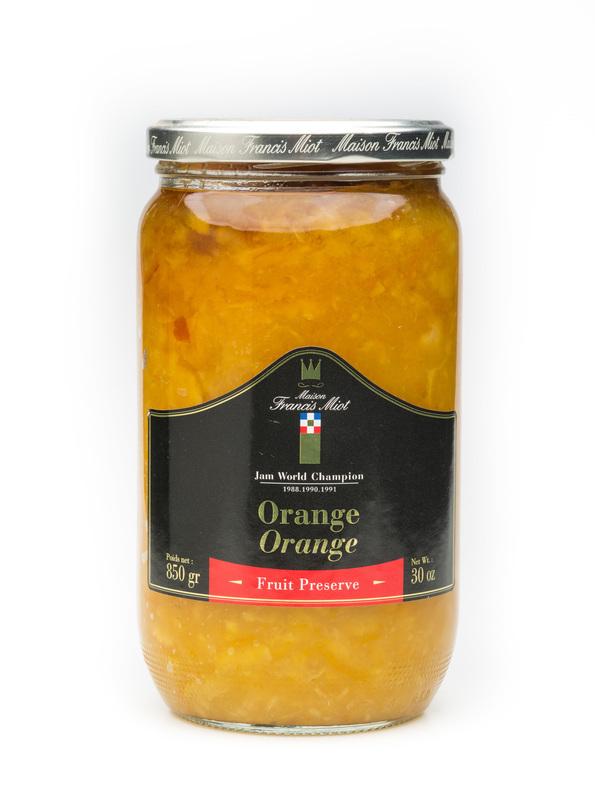 ​This orange preserve is cooked with generous "navelate" oranges, harvested when ripe in the Spanish region of Valencia. These are the noblest oranges with a lot of juice and pulp, and a naturally sweet taste! Orange 55 %, cane sugar 44 %, concentrated lemon juice, natural vanilla extract, rum, gelling agent: fruits pectin (from the fruits). Allergen : Ø.